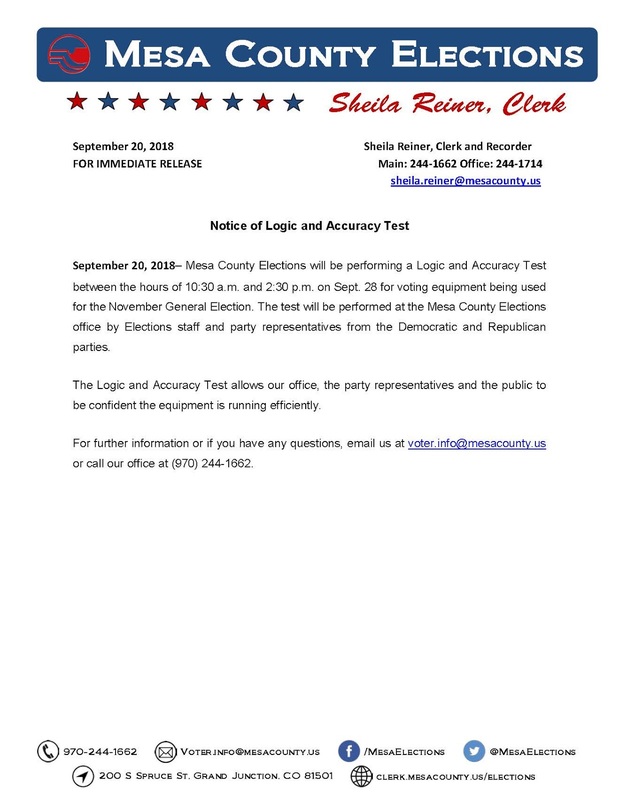 Elections will be performing a Logic and Accuracy (L&A) Test Friday, Sept. 28 from 10:30 a.m. to 2:30 p.m. at the Mesa County Elections office, 200 S. Spruce St. The test is designed to verify that the ballot counting program for the election is properly reading and tabulating votes. For more information, email voter.info@mesacounty.us or call (970) 244-1662.